Accuracy (µm)Linear accuracy at stage centerline, after two point temperature scale correction. With its low-inertia, high-force driven nut design, ServoNut Power Module outperforms linear motors when it comes to load capacity, acceleration, speed, ease-of-installation and cost. ServoNut is also a more efficient alternative to conventional driven-screw ball screws. Zero backlash. 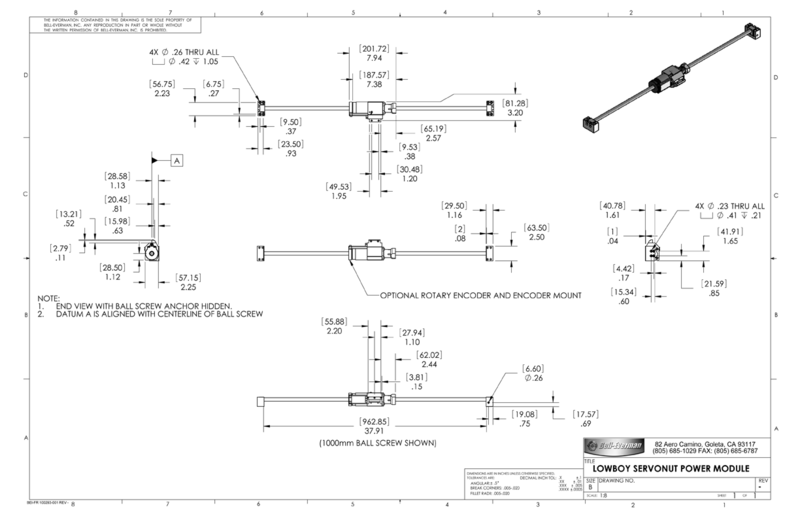 ServoNut directly drives the nut along the screw with exact position feedback for backlash-free operation. 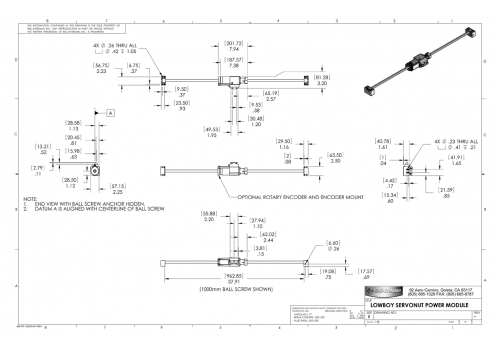 Standalone or Complete Actuator. ServoNut Power Modules are available as a standalone drive element or as a complete precision linear actuator assembly with bearing carriage and linear or rotary encoder. Inertia Matching Made Easy. 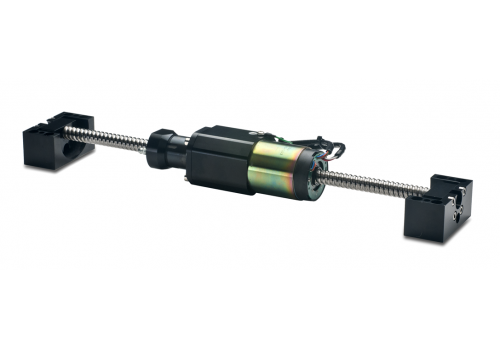 A wide range of direct-drive servo motors and screw leads allows for exact matching of your payload and motion requirements, eliminating the complications and inefficiencies of a driven-screw system’s belt passes. ServoNut inertia is equivalent to or less than that of a driven-screw stage. High-Force Applications. Load capacity exceeds 1,500N continuous force. With options for pneumatic or electric fail-safe brakes, ServoNut Power Module is ideal for high-force vertical axis applications. Fast and Precise. ServoNut offers speeds in excess of 1 m/s and accelerations over 4 g. Bi-directional repeatability is ± 1 encoder count. Built To Last. ServoNut Power Module features lubed-for-life rotary bearings and an anodized aluminum and stainless steel construction.